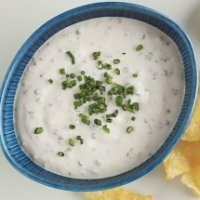 Here's a quick and easy appetizer recipe that you can whip up for any last minute get together or holiday functions. 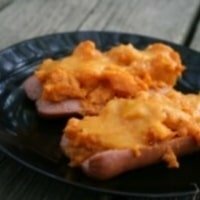 The recipe below is for a chicken spread sammie but you can alter this snack recipe by using your favorite spreads or deli meats. 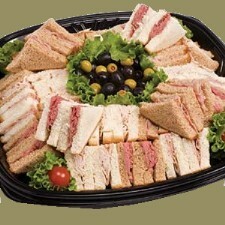 The great thing about these are you can make a variety of sammies using different ingredients and different breads. This way everyone can pick their favorite. These mini sammies make a perfect appetizer for holiday parties, snacks, appetizers and more. With a simple chicken spread made from your left over chicken, these little sandwiches are sure to please everyone in the family. You can use different meats, add some vegetables to the mix or even use deli meats to make all kinds of mini sammies for your next get together. 12 slices Rye Bread (you can use whole wheat or pumpernickel as well). Remove the crust from the bread slices and cut in half in a diagonal shape. Alternative: You can use fun shaped cookie cutters to give your sammies a festive look. Just make sure the cookie cutter is small enough to get 2 cuts in one slice of bread. Cut chicken into small chunks. Using a food processor, add the chicken chunks, mayo and cream cheese. Pulsate until the ingredients are well mixed and can easily be spread onto the bread. Spread onto the mini bread slices and serve. Nutrition facts shown below for this appetizer recipe are per serving. The number of serving is noted in the header section below. The serving size is the first item noted on the nutrition facts table. The SmartPoints does not include nutrition for the chicken. Just make sure it's skinless in order for it to be a FreeStyle zero points food. If chicken is not already skinless, make sure you remove the skin from the chicken breasts before you cut into chunks. This will help reduce fats for this appetizer recipe as well as make it easier to blend together in the food processor. 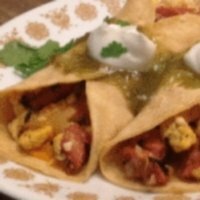 Here's another quick appetizer recipe using nothing but fruits and cheeses. 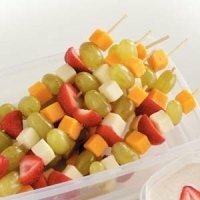 These fruitfully cheesy kabobs make a great snack, appetizer or side dish. Kids will love helping make this juicy appetizer...of course adults will love it too. This recipe takes the traditional hot dog and mashed potatoes to a new healthier level. Use this low fat dip for your veggies for a healthy snack idea. 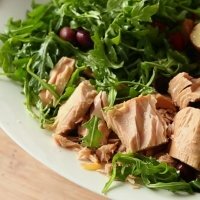 Adding tuna to your typical tossed salad as flavor and many health benefits. 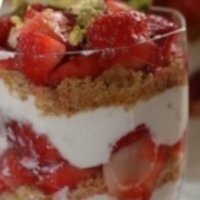 This creamy recipe is a great light breakfast or a midday snack. Get healthy with these tuna recipes. Tuna is a great source of Omega3 fatty acids. Don't just count carbs, instead make your carbs count. Check out this article to learn more about the good and the bad of carbohydrates. Learning to control your portion sizes can help you reach your weight loss goals. Check out this article to learn more about proper portions.